CBS arrange and is involved with many activities related to responsible management. In this dropdown menu you will find current and upcoming activities. What is the Green Challenge? You must be able to defend that the project solves, or contributes towards solving, a green problem. At the conference you will give a 2 minute pitch of what your project is about. How to sign up: Application process will be posted soon. If you have any questions email, Malou Celander, msoc.msc@cbs.dk. 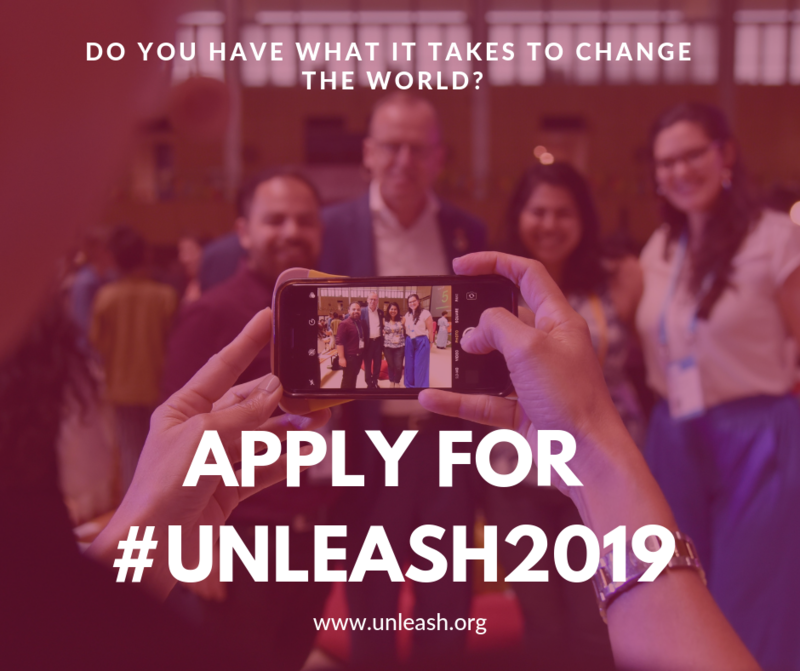 UNLEASH is a yearly event where 1000 talents from all over the world are gathering to work on ideas and projects for advancing the Sustainable Development Goals. You can read more about it on the website: https://unleash.org/. Applications are welcome from everyone (student/phd student/graduate/ anyone with a burning interest and passion for SDGs). CBS is a partner in the project and can send in a list of nominations who can go through the first phase of application (without guaranteeing that they will be chosen for the event in Shenzhen by the UNLEASH organizers). Nominations will happen on the 17th of April, where five persons will be nominated based on the criteria on the unleash website (the nominees will received a nomination code to include in the application). The PRME office will send the list of all those interested to the nomination board and encourages everyone to apply to the project, even if they are not nominated. UNLEASH picks talents based on five criteria. Location and date: The event will be held in Shenzhen, China, from November 6-13, where all accommodation will be provided and paid for by UNLEASH (there is only a one time participation fee of 150 euro to be paid by the successful applicant). As many of you are aware, Danske Bank has been subject to considerable criticism and public scorn over its failure to prevent alleged money laundering through its branch in Estonia from 2007 to 2015. PRME hosted a debate to hear what, interim CEO, Jesper Nielsen has to say about the case and moving forward. During the Danske Bank meeting, Jesper Nielsen, answered questions and concerns voiced by students via slido.com! Below are Jesper Nielsen's answers to some of the questions that he did not have time to address during the debate. What is your intention for meeting at CBS today? CBS is an important stakeholder for Danske Bank and we have had a strong and long-lasting partnership. We have recruited some of our best talent from this school and it is vital for us to be able to continue to do so – in order to become the bank that we want to be.Whether or not you will want to apply for work with us, your views and opinions – as students, potential employees, citizens or future entrepreneurs and business leaders, are important to us. So my objective for meeting you was equally to talk to you and answer your questions as well as to listen to you and learn more about your perspectives. I have been asked by Danske Bank’s board of directors to guide the bank through this difficult time as interim CEO of Danske Bank, which is an enormous responsibility that I am both honoured and humble to accept. Any wrongdoing or failure on behalf of a company or its employees, is ultimately the responsibility of the company CEO and it was this responsibility that former CEO Thomas F. Borgen recognised by stepping down in September. Also, a number of employees including at management level have left the bank or have had their contract terminated as a consequence of what happened. Personally, I have been with Danske Bank for more than 20 years, and notwithstanding our serious failures in Estonia, it is a bank that I am tremendously proud of. Before becoming interim CEO, my executive focus and responsibility was personal banking within Denmark and the Nordic countries, and I was never in a position to make executive decisions regarding Estonia or the Baltic countries and was not part of discussions of Danske Bank’s strategy in this market. Following the scandal, what is your short term vs. long term strategy? In the short term, our task is simply to try to manage the crisis. Which of course is not a simple task at all. In the longer term, a crisis like ours calls for reflection and self-scrutiny and demands from us that we ask ourselves who we are, who we want to be and what our purpose should be. Danske Bank has always wanted to be a bank for all customers and to create long-term value for all stakeholders, and it is our long-term ambition to continue to offer finance and investment opportunities and to help businesses and individuals realise their ambitions. Danske Bank has 2.8 million personal and business customers, and our goal is to be the preferred bank for any family and business that wants a helpful financial partner who makes both important financial decisions and daily banking easy. What do you consider your primary goal for Danske Bank, as interim CEO? Right now, I am spending a lot of time talking to customers and other stakeholders and sharing with them all facts we have about the case, while recognising that these facts can explain but not excuse our shortcomings. It is also my goal to ensure that Danske Bank remains focused on our customers and that we work hard to become their most trusted financial partner. This can only be achieved if we succeed in keeping our employees motivated so talking to employees and listening to their concerns is also a primary goal for me. The employees who are met with scorn, ridicule and sarcasm over something they never knew happened - let alone played any part of - are the very same employees who Danske Bank relies on to take us beyond this current crisis. Our employees are our most precious resource. According to the Corruption perceptions index 2018 Denmark is the least corrupt country on the list. How did the employees in Denmark react to the news? Danske Bank has been in a position to recruit incredibly talented and hard-working employees for whom their employers integrity and reputation is crucial. The revelation of what happened in Estonia has been a blow to all employees as it goes against everything they stand for and everything they want to stand for. So, on the one hand, what happened goes against everything Danske Bank’s employees stand for and on the other hand they see themselves unjustifiably accused of lacking integrity and a moral compass. It is a pretty conflicting emotion, feeling wronged both by Danske Bank’s conduct as well as by the public perception of them as bank employees. Do you think that Danske Bank can/will recover from this “incident”? Isn’t the public image stained to an extent where DB simply cannot be trusted by the public? We have lost trust and nothing is more important to us than to work to restore that trust. Trust is fundamental to running a bank. But the shared understanding throughout the bank that what happened in Estonia goes against everything we stand for and our joint commitment to create long-term value for all stakeholders, make me confident that Danske Bank will restore its reputation as a responsible and respectable bank. It will not happen overnight – but we are in this for the long haul. Jesper: do we have a fundamental issue with the “tradeoff” in the danish private sector between ethics versus profits? I would say no. I think our own recent experience makes it very clear that it is not profitable to be seen behaving unethically. GSVC is the biggest international competition on social entrepreneurships. The competition aims to empower the next generation of social entrepreneurs by providing them with mentoring, exposure, and over $80,000 in prizes to transform their ideas into ventures that address the world’s most pressing challenges. Teams from across the globe learn how to design scalable models through a process that emphasizes stakeholder discovery, business innovation, and social impact assessment. Founded by MBA students at UC Berkeley’s Haas School of Business in 1999, the GSVC has evolved into a global network of premier business schools, universities, and programs in the US, Europe, Asia, Africa, and Latin America. Each partner school and program is supported by a network that includes other universities and organizations, judges, mentors, and investors focused on social impact, innovation, and entrepreneurship. In 2017, GSVC received over 600 entries from 65 countries. This year, CBS PRME signed to become the first GSVC partner in Scandinavia and will going forward be responsible for engaging students across Scandinavia to sign up and participate in GSVC. Learn more about the GSVC here and how to sign up to next year’s competition. The PRME Nordic Chapter was established in September 2014 and it serves as a focal point of coordination and communication for signatories based in Denmark, Finland, Iceland, Norway and Sweden. The PRME Nordic Chapter serves to collect all Nordic PRME signatories in a Nordic-wide network, to help each other implement the PRME initiatives in their local context. The chapter therefore provides a platform, which enables collaboration and communication within the field of sustainability and responsible management among universities in the Nordic Region. The PRME Nordic network meets twice a year. The 2017 PRME Nordic Chapter meetings were held at Hanken School of Economics on 27 April and Stockholm School of Economics 8 September. PRME Nordic Chapter Meeting 2017, Hanken School of Economics, Helsinki. Responsibility Day was launched by the Dean of Education in 2009 and is today one of the biggest annual events held by CBS with more than 2000 participants each year. The event has a duel function in part as an official welcome ceremony for all 1st year undergraduates and in part as an introduction to a case competition with responsibility in business as the main theme. At the event, the students are met by a wide range of stakeholders including teachers, student organisations, CBS senior management, industry leaders, celebrities and many more. The case competition centers around real-life challenges in regards to corporate social responsibility (CSR) within a chosen case company. Case companies from previous years include Hummel, Claus Meyer and the Danish denim brand Yab Yum. Read more about Responsibility Day 2018 here. Stay updated on our website for Responsibility Day 2019. Crown Princess Mary giving a speech on Responsibility Day 2017. Responsible and sustainable behavior is increasingly becoming more and more important for companies and society as a whole. At CBS, one key objective is to convey values that hopefully enhance responsible behavior in its students. But is education at CBS geared towards this objective or is it indirectly equipping our students to support dubious business practices through its focus on profit maximization and utilitarian decision making? The Responsible Management Education (RME) survey tries to answer these questions by measuring students attitudes towards (ir)responsible behaviour, their self-efficacy and belief about their ability to act responsibly. By repeating this survey after every semester we have now obtained longitudinal data that helps us understand how these attitudes change over time. It is hoped that the insights gained from this survey will help CBS better understand what influence its curriculum has on the attitudes of its students and what can be improved or changed to help strengthen CBS’ position as one of the leading business schools for responsible management education in the world. CBS PRME has joined forced with several student organizations to celebrate the SDGs with a large on-campus event. Here, students host open activities demonstrating how the goals are relevant, inspiring and make up fertile ground for business innovation today. The aim of the event is to make all CBS students aware of the Global Goals and engage the leaders of tomorrow in this universal agenda. Moreover, we wish to build bridges between professionals and academics, and inspire other educational institutions to follow suit. Surely, this feeds into achieving a world without pressing issues of poverty, inequalities and climate change, as envisioned by the Sustainable Development Goals. This year's Students for the Global Goals will be 25 April 2019, please stay updated on studentsforglobalgoals.com, or on our Facebook page here. Sulitest is one of our collaborating activities with the PRME Nordic Chapter. Sulitest is a self-evaluation tool with the aim of creating awareness and increasing knowledge of global issues and sustainable development. It has the ambitious vision “to develop Sustainability Literacy worldwide and empower engaged and committed global citizen to make informed and responsible decisions, and collectively build a sustainable future” It was created after the United Nations Conference on Sustainable Development (Rio + 20) and designed to contribute to the United Nations Sustainable Development Goals. The CBS PRME office has just recently started working with the Sulitest, however, we aim to apply the test to all new bachelor students at their first day at CBS.